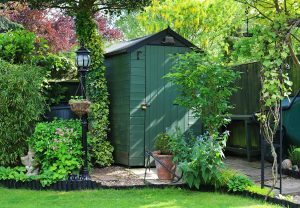 Is your garden shed a rickety old shack at the end of your garden? It need not be; a garden shed can provide a versatile and durable solution for the safe storage of belongings. As long as the structure is robust and has a secure lock, you can store most things. If you get a new shed, you can use it to safely store lawn and gardening items, BBQ grills, tools and equipment, outdoor toys and seasonal decor. Power tools. Power tools are typically made of high-quality and durable materials, making them withstand changes in temperature and humidity. As they are used more often than the stored TV or microwave, they are less susceptible to corrosion, Take care not to include batteries in your outdoor storage to minimise the risk of leaks. Lawn and gardening items. Tools and equipment for your garden are best kept inside your garden shed for convenience. These include lawn mowers, garden shears, work gloves, wheelbarrows, pots, potting soil and fertilisers. Outdoor furniture. Garden sheds are ideal for storing patio tables, table umbrellas, outdoor rugs and deckchairs. Outdoor furniture pieces are durable and designed to withstand the elements. Seasonal Décor. Decorating the house for seasonal festivities or birthdays once a year means you have a pile of paper decorations and costumes in storage for most of the year. Put them in a plastic container in the shed so they don’t cause unwanted clutter in the house. Electronics. Temperature extremes can damage stored electronic items such as old TVs, microwaves, computers and the like. Over time, humidity can cause a build-up of condensation similar to direct water damage. Rust can decimate the internal wiring of your devices. If pests make their way into your shed, they can chew through cords. Important documents. Paperwork such as passports, birth and marriage certificates and the like are susceptible to moisture damage. Also, the old phrase of ‘out of sight, out of mind’ could result in them being damaged or accidentally thrown out when you have a clear-out, or they could end up at the bottom of a pile as more items are stashed away. Paint. Paint and refinishing solvents tend to spoil when subjected to extreme temperatures. Old cans of paint also rust and dry out. Because of fumes, it is best not to store paint if possible. However, you may need to store a small amount for touch-ups. Keep leftover paint in your basement, or a cooler area of the house such as the utility room or cupboard under the stairs. Canned food. Stockpiled canned food is not suitable for outdoor storage. According to Food Standards Australia, changes can occur in the containers and food quality reduces over time. The agency recommends that all canned food supplies be stored in a cool dry place inside your home. Despite these items, a garden shed it is a great addition to your home to help you manage space and avoid clutter. At Yardly, we choose products that enhance the Aussie lifestyle. We have a range of outdoor storage solutions, such as garden storage sheds, outdoor cabinets and garden benches to make outdoor living more enjoyable. Contact us on 1300 205 572 for enquiries.